pro hunter outfitters – The Gun Room Inc. I know it’s hard to think about anything when it’s so darn hot outside, but bow season is right around the corner so it’s time to get with the program. Sitting here in The Gun Room Inc’s air conditioned showroom I’m amazed at how many really good Hoyt Archery bows there are available for a song. Granted some are new old stock but the elk don’t care about that one bit. 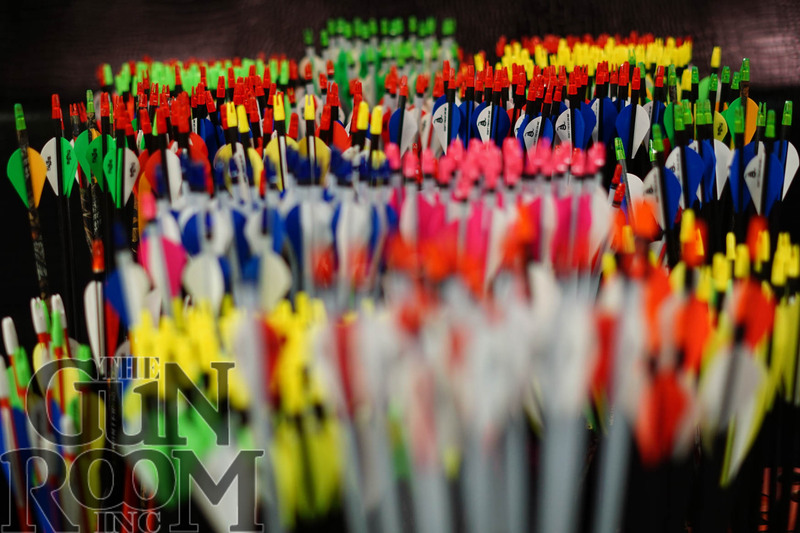 One thing I noticed is The Gun Room already has the 2019 Hoyt Archery bows in stock and Shaun has even built up a couple of real nice bows that are field/hunt ready. I’m not an Olympic level archer, heck at best I pull a string once or twice a year just to keep fresh and relevant. When I look at the Hoyt Archery bows being built by Shaun I know it’s time to upgrade no matter my skill level because I just can’t pass on a deal like they have going on now. For some reason I feel I need to own one of the new Hoyt Archery REDWRX Carbon builds Shaun has dangling neatly in front of me as he puts together another one for a customer. I’m also needing a new quiver of arrows and thankfully Shaun has me covered on that end. When I’m out with my friends it’s good to have arrows that look different than theirs, sort of like golf balls with numbers I guess. The real thing about my arrow selection is I’m color blind. I have to pick fletch colors I can see in the bush for that fact alone. Yes, the Hoyt Archery REDWRX is looking like it’s finding a new home, and it comes with it’s own case which is a plus because now I don’t need to find one myself or pay any extra money. Thanks Hoyt Archery! There was more archery stuff than I expected to find at The Gun Room Inc. to be honest, and I for sure wasn’t expecting to meet a pro like Shaun there.